The world’s first commercial oil well wasn’t in Texas, Alaska or the Middle East. It was in Titusville, Pennsylvania, about 50 miles south of Erie, where Edwin Drake drilled a hole in the ground and had the good idea to line it with pipe to keep the earth from caving back in. That was in 1859. Drake’s success triggered Pennsylvania’s — and the nation’s — first real energy boom. It was a haphazard affair. Boom towns sprung up around wells and were quickly abandoned; oil prospectors carted wagons of drilling explosives over bumpy roads; oil men would rush barrels of black gold down rivers by damming up water and then releasing it all at once, in order to create an artificial tidal wave. There were no environmental regulations in the 19th century. Many drillers simply walked away from their wells once the oil and gas stopped flowing. That was the norm for most of Pennsylvania’s history with oil and gas drilling. It wasn’t until 1955, almost a century after Drake drilled his well, that the state passed a law requiring operators to report the locations of their wells. The result is that western and northern Pennsylvania are pockmarked with hundreds of thousands of wells whose locations are essentially unknown. These abandoned wells can be dangerous — especially as the latest energy boom draws a new wave of drilling activity to Pennsylvania. This summer, Shell was drilling for natural gas in Union Township, Tioga County, when a 30-foot geyser of methane gas and water erupted out of the ground. The gas most likely came from a shallow underground formation, and shot up toward the surface through an abandoned well first drilled in 1932. Shell asked nearby landowners to evacuate their homes while the leak of the explosive gas was brought under control. Even without active drilling nearby, these wells can lead to problems. State regulators have investigated dozens of instances where gas has traveled through abandoned wells and reached the surface. At times, the methane has pooled into buildings and triggered explosions. “We know they’re out there,” says Gene Pine, with the state Department of Environmental Protection. It’s just that in the decades since these wells have been drilled, towns have been built over top of them, vegetation has covered them up, and the physical signs of wells – metal casing and pipes – have been removed by scrap collectors. The result: Oftentimes, the first indication of a well’s presence is a methane gas leak at the surface. The state does know where some of them are. A spreadsheet on DEP’s website lists the location of 8,257 abandoned and orphaned oil and gas wells. StateImpact has mapped them all here. (The difference between “abandoned” and “orphaned’ is largely an administrative distinction.) If Pine’s math is right, regulators know the locations of only 2 to 4 percent of the abandoned wells in Pennsylvania. Pine’s abandoned well team has a range of responsibilities. There’s a full-time geologist, and a staffer charged with using mapping software to plot the location of wells. Other Department of Environmental Protection employees coordinate contracts with the well plugging teams hired to cement abandoned wells shut. Each of Pennsylvania’s four DEP regions has its own dedicated well plugging inspector, too. When Pine’s team finds an old well, they sometimes find artifacts, too. When early drillers did plug their wells before moving on, they tended to do it with whatever debris was laying around. They’d shove logs down the holes, or stuff bushes into them. Pine says he has found cannonballs in wells. He showed StateImpact Pennsylvania a wooden “sucker rod” — a beam pumped up and down to coax oil out of the ground — fished out from a well drilled in 1874. Jerry-rigged well plugs are part of the problem: Random junk is not typically enough to prevent methane migration and other problems associated with old wells. So Pine’s team hires contractors to plug these wells according to the modern standards that Pennsylvania law now requires all energy companies to meet. They may fill the entire wellbore with cement. Or they may plug only portions of the well that intersect with oil and gas-bearing formations and fill the rest of the space with a gel-like substance. Either way, the goal is to block the pathway gas or oil would use to migrate to the surface. When the plugging operation is complete, the operator will mark its location by placing a “monument” — a waist-high pipe filled with cement — on the surface, and will file for a certificate of well plugging with the Department of Environmental Protection. The program Pine runs has never been funded at a level anywhere close to the scale of its job of finding and plugging all of those wells. The effort began with a 1984 law, Pennsylvania’s first to set a standard, sweeping set of oil and gas drilling regulations. That’s when the state required drillers to register their wells, and to plug inactive oil and gas wells with cement. The legislation also included a $50 surcharge assessed to drillers filing for permits. The money — later increased to $150 for oil wells and $250 for gas wells — was used to create the Abandoned and Orphaned Well Program, the division Pine leads now. The legislation set 1979 as a cutoff date. If a company or landowner owned or made money off a well after that date, they bore responsibility for plugging the wells. Otherwise, the state had the right to step in and close it. The program started slowly, plugging just seven wells in 1989. It maintained that slow pace for the next decade, plugging more than 20 wells a year only two times, and spending an average of $226,000 a year. Things changed in 2000, when a state bond issue called “Growing Greener” passed. The bond money, aimed at boosting environmental efforts, added an average of $1.1 million to the program’s annual surcharge revenues over the ensuing decade. With that infusion, the state plugged about as many wells in 2000 as it had in the previous decade. But the Growing Greener revenue has gradually decreased, and the Orphaned and Abandoned Well Program is back to subsiding on its relatively meager surcharge money. The Marcellus boom means the program receives more permit revenue than it used to, but the pace of plugging has still slowed down. Instead of plugging more than 300 wells, like it did in 2008, the program has closed just 23 wells this year. In all, Pennsylvania’s efforts have plugged 2,871 wells. Pennsylvania isn’t unique in this respect. Many states have large numbers of abandoned wells with little resources to do anything about them. 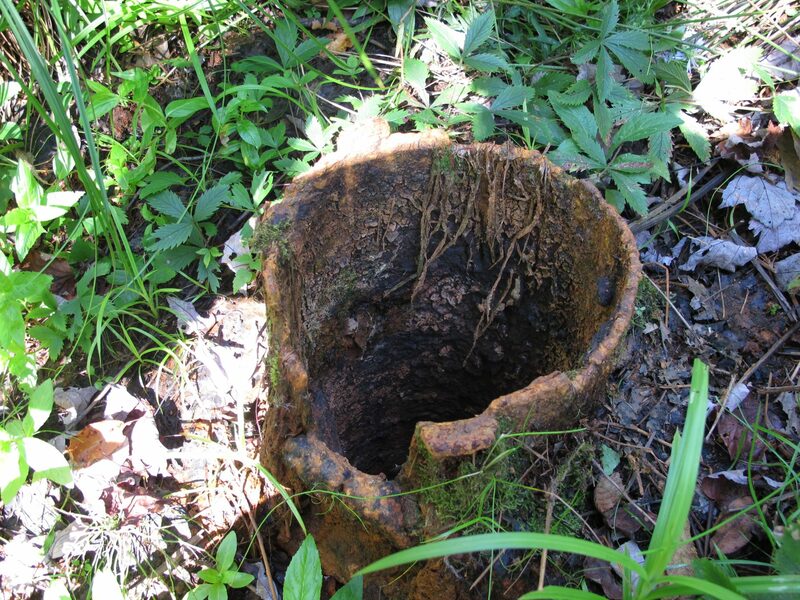 West Virginia has located about 13,000 abandoned wells, but only plugged 28 in 2010. Ohio’s program plugged 15 last year, and 12 in 2010. The only legacy drilling state sealing off large swaths of wells is Texas, which plugged more than 800 in 2011. Our partners at StateImpact Texas took a look at well-plugging efforts in the Lone Star State earlier this year. Pennsylvania is, of course, reaping more than $200 million from the natural gas drilling industry this year. That money comes from a new law, known as Act 13, that charges a $50,000 fee on most Marcellus Shale wells. (Smaller, vertical wells pay a reduced rate.) Well plugging was one of the initial uses Governor Tom Corbett proposed for such a fee — and Act 13 designates it as one of the possible uses for a $16 million pot of revenue. But the money won’t be going to DEP. That’s because the way the law was written, that $16 million was reserved for local governments, nonprofits, colleges, or environmental groups. The Abandoned and Orphaned Well Program does not qualify. The goal is to merge this data with modern digital maps, in order to create a more comprehensive record of abandoned wells. A pilot program in southwest Pennsylvania showed encouraging results: “In addition to the wells we know about, we found 15,000 additional new wells,” says Gene Pine. That total — which has since been increased to 17,000 — includes active wells, too, so it doesn’t necessarily mean the list of abandoned wells has suddenly tripled.